Lintbells, manufacturers of premium quality natural pet supplements for joints, digestion, skin and coat and behaviour, are giving away five Active Kits to five lucky winners, to help encourage you and your dog to get fit and active in the New Year. 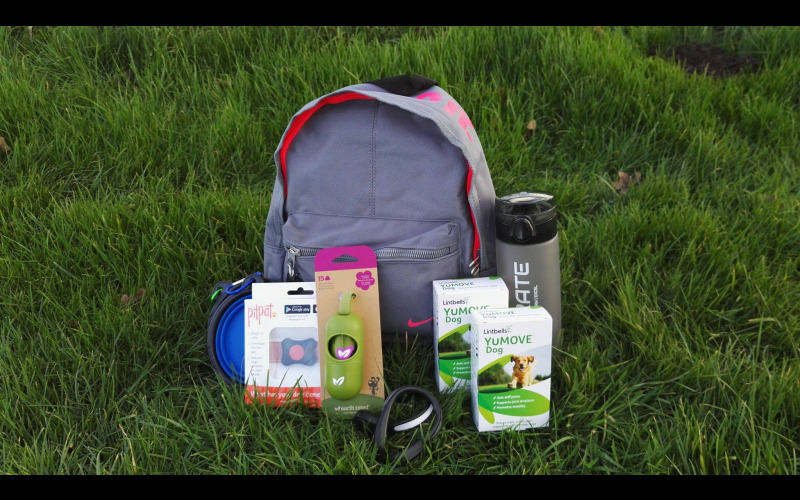 The prize bundle includes a PitPat, Nike sports bag, outdoor sport shoe safety LED lights, Hydrate water bottle, collapsible travel dog bowl, dog bag dispense and two packs of YuMOVE 60 tablets, the No.1 veterinary joint supplement for dogs*. Everything you’ll need to explore the outdoors with your canine companion in the New Year. YuMOVE is a clinically proven triple-action joint supplement for dogs who are stiff or getting older. The premium, natural formula makes a tail-wagging difference in three different ways. It can soothe stiffness, support long-term joint health and promote mobility. Established in 2006 Lintbells firmly believes in producing and selling high quality, effective, natural supplements that aim to improve the lives of dogs, cats and horses globally. Their efforts are increasingly appreciated by pets and their people, with 200 million YuMOVE tablets sold in more than 15 countries by the start of 2017.